Dresden, on the eastern border of Germany, has been called Venice on the Elbe. It’s well-deserving of the title as it boasts a distinguished cultural history. Caspar David Friedrich was one of the many painters who made their career there and the city abounds in fine art. Dresden was also a champion for new dance: both Mary Wigman and Gret Palucca opened dance schools here in the 1920s teaching the new expressionist movement. Opera tradition is particularly strong. Richard Strauss’ Salome and Der Rosenkavalier were premiered at Semperoper, as were many of Richard Wagner’s operas, including Rienzi and The Flying Dutchman. The resident Staatskapelle Orchestra is considered among the finest in the world and now Semperoper Ballett, under the direction of Canadian-born Aaron S. Watkin, is making waves. Under Watkin’s direction, Semperoper Ballett continues to broaden its international reputation with upcoming tours to New York, Paris, Barcelona, Antwerp, Belgium, and St. Pölten, Austria. 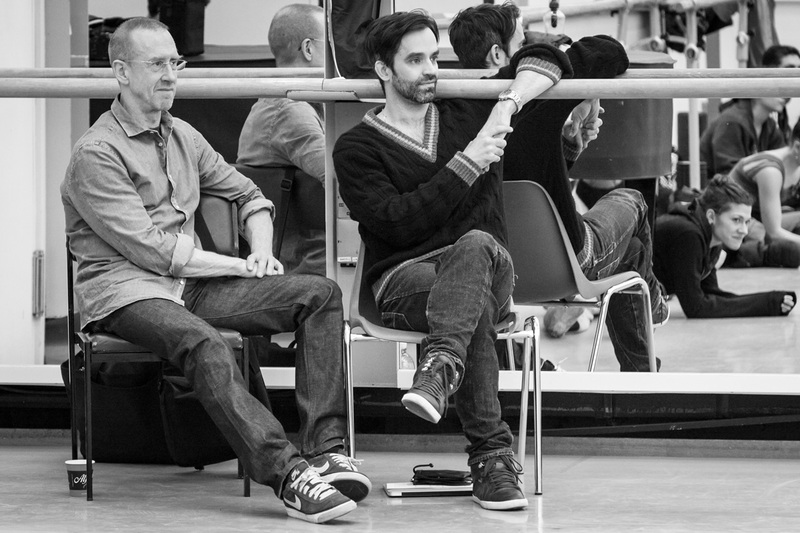 The dancers form an impressive ensemble: a quality line-up of dedicated individuals, and Watkin has forged close collaboration with major choreographers, including William Forsythe, Mats Ek and David Dawson. The opera house enjoys comfortable funding from the German government and keen public support, while the ballet has particularly strong interest from younger adults. He danced with major classical companies, including the National Ballet of Canada, English National Ballet and Dutch National Ballet. His career took a major turn when, in 1998, he joined Forsythe’s avant-garde Ballett Frankfurt as a principal dancer. His impact in Dresden was evident from the start when he introduced new faces, including several prominent Mariinsky dancers searching for fresh challenges, and new repertoire. Semperoper’s relationship with Forsythe has become a defining feature. “Bill said coming here is such a pleasure — it’s like family. He doesn’t have to teach the dancers the foundation, he can just add icing on the cake.” The company has many of his major works in their repertoire, and Forsythe even reworked some of his earlier pas de deux to create Neue Suite for them. Last season, the company added the evening-length Impressing the Czar to its repertoire. “Bill was here for three weeks and he changed all the first act for our dancers. If he would venture to write a new piece in his ‘past’ style, it would be here,” says Watkin. Sweden’s Ek has also built a strong relationship with Dresden Semperoper, and he asked the company to perform in the January 2016 program in Paris marking his farewell as a choreographer. Semperoper Ballett performed Ek’s She was Black, a work presented by the company with great success over the last few years. 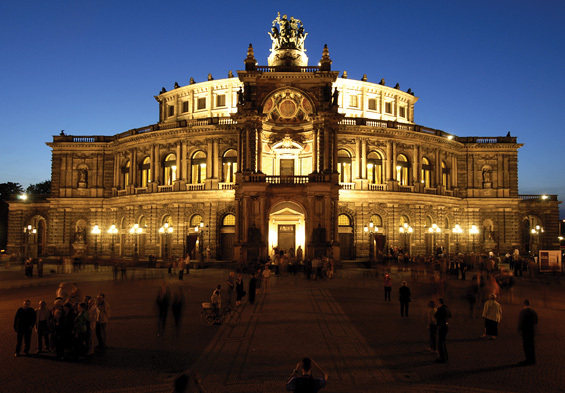 Semperoper, a magnificent example of Dresden Baroque style built in 1841, derives its name from the architect Gottfried Semper. The house has twice burned to the ground — first in 1869, then in 1945 during the Second World War — and the current building, completed in 1985, leaves the original design intact, but has state-of-the-art technology and a modern annex housing rehearsal rooms and administration. Despite the very formal aspects of the performing space, the classical proportions frame both traditional and modern performances to maximum advantage. Prior to arriving in Dresden, Watkin set Dawson’s Reverence on the Mariinsky Ballet and it was a boost to his new post that he could appoint the British artist as resident choreographer. In 2008, Dawson created his Giselle for Semperoper Ballett and over the years many of his works have been absorbed into the repertoire. Although no longer resident today, Dawson continues to create works in Dresden, including his second full-length narrative ballet Tristan and Isolde, which premiered in 2015. 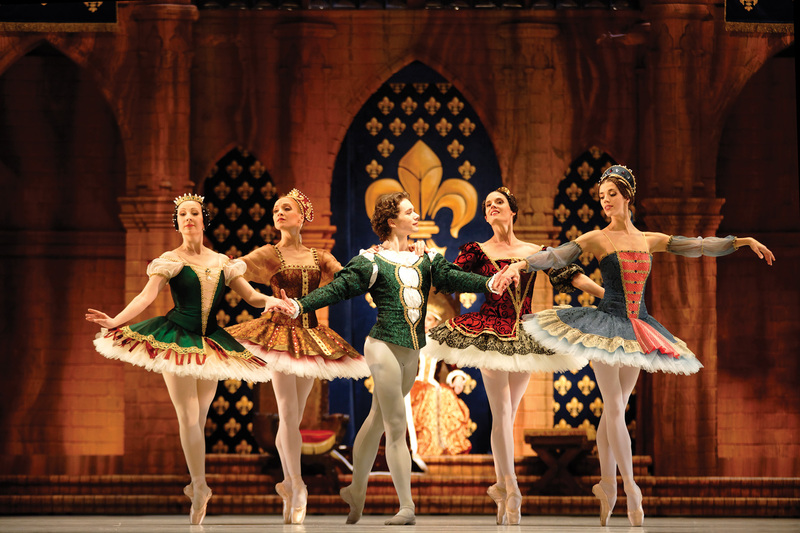 The company also has a solid core of major classical works, including productions by Watkin of The Sleeping Beauty, Swan Lake and La Bayadère. His production of The Nutcracker, choreographed with fellow Canadian Jason Beechey, rector of the Palucca School in Dresden, joined the repertoire in 2011. Imaginatively designed by Roberta Guidi di Bagno, it pays homage to Dresden Baroque style, adding a local flavour, and has become a perennial favourite. Dancers who helped Watkin create his vision are now moving on. The scintillating Yumiko Takeshima has hung up her pointe shoes, but continues her successful dancewear business. She designed costumes for all of Dawson’s ballets, many Forsythe works and the dancewear in the film, Black Swan. JiríBubenícek, a powerful presence in both classical and modern works, has already created several works for Semperoper Ballett and now makes choreography his career. Raphaël Coumes-Marquet, who created many leading roles (including Albrecht in Dawson’s Giselle), is now ballet master and repetiteur with the company. Semperoper Ballett under Watkin’s direction has built a reputation for the best in contemporary ballet. Dresden has become the place to see Forsythe and Dawson danced with passion to an impeccable standard. It is also the place to see Balanchine delivered with speed and precision; Jewels, for instance, has an unrivalled setting beneath the high proscenium arch of the opera house. Moments where ballet, opera and orchestra join forces are a special treat. Stijn Celis’ Les Noces was one such occasion. The orchestra and singers, partially shielded by an effective slatted screen, backgrounded the dancers to create a true Diaghilev moment of art.